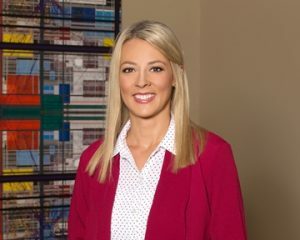 Dr. Erin Amato, MD, was raised in Billings, Montana and attended medical school at the University of Nevada School of Medicine. Upon graduation from medical school, Dr. Amato was awarded the Lillian Orchow Prize for Outstanding Student in Psychiatry and was designated as an AMA Foundation Rock Sleyster Scholar. She completed her internship and residency in General Psychiatry at Long Island Jewish Medical Center-Zucker Hillside Hospital in Glen Oaks, New York. She then pursued fellowship training in Child and Adolescent Psychiatry through the NSLIJHS-Albert Einstein College of Medicine program in New Hyde Park, New York. She served as the chief fellow during her second year of the fellowship and was awarded the Clinical Excellence Award upon completion of her program. After finishing her Child Psychiatry fellowship, Dr. Amato returned to Billings with her family to start clinical practice. She founded Montana Psychiatry in 2009 along with Drs. Deborah Malters, MD and Belinda Hartley, MD. In addition to her private practice through Montana Psychiatry, she has worked with AWARE and Yellowstone Boys and Girls Ranch (YBGR) to provide mental health services to children and adolescents in the region. She is currently the Medical Director of YBGR’s residential campus and community-based services. Dr. Amato is involved in regional and national activities for the American Academy of Child and Adolescent Psychiatry and has served as the Assembly Delegate for the Big Sky Regional Organization of AACAP since 2010. Dr. Amato has double board certification in General Psychiatry and Child and Adolescent Psychiatry by the American Board of Psychiatry and Neurology. Dr. Amato is passionate about finding cutting-edge, innovative ways to prevent and treat mental health disorders that have not responded to traditional interventions. She received training in Transcranial Magnetic Stimulation (TMS) and other non-invasive brain modulation techniques at the Brain Stimulation Laboratory of Medical University of South Carolina and has been providing TMS to patients in the region since 2015. She has been providing IV ketamine therapy for treatment of depression and other mental health conditions since April 2016. She is an integrative psychiatrist who looks to blend traditional treatment tools, like medication and talk therapy, with specialized integrative medicine testing, genetics, nutritional supplementation, and lifestyle education and interventions to design personalized treatment approaches that target the root causes of illness. She is certified as a health care provider for FirstLine Therapy® through Metagenics and is participating in the Advanced Fellowship in Anti-Aging, Metabolic and Functional Medicine through the Metabolic Medical Institute of A4M. Dr. Amato believes that early intervention is critical when people are affected by emotional, behavioral, cognitive and learning disorders. Mental health should be looked at in the context of an integrated mind-body approach. Especially in cases of children and adolescents, early diagnosis and treatment of psychiatric disorders is essential in promoting healthy development. Dr. Malters was born in the Midwest and raised in Southern California. She completed her undergraduate education at the University of California, San Diego, graduating with degrees in Biology and Spanish. 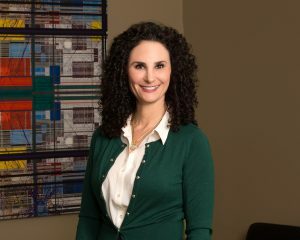 Dr. Malters completed her medical doctorate at The Chicago Medical School and did a one-year internship in internal medicine at Illinois Masonic Hospital. Dr. Malters moved to California with her husband, Edward Malters, MD, where she did her residency in general psychiatry at L.A. County Hospital / University of Southern California. After completing her residency training, Dr. Malters did a fellowship in child and adolescent psychiatry. After working in two large cities, Dr. Malters, her husband, and their two small children wanted more space and craved “big sky.” Dr. Malters has been working in Billings since 1998. 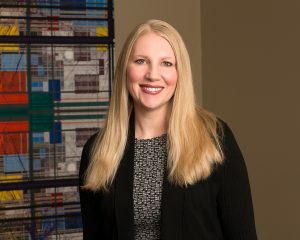 Her professional experiences have included being in a solo private practice and a group practice affiliated with St. Vincent Hospital before joining Montana Psychiatry. She has been the medical director for Youth Dynamics of Montana and has had the pleasure of watching it grow to cover youth in need across the state. Dr. Malters has practiced in Billings for the last 20 years. She enjoys working with people of all ages, across generations, and helping them with their psychiatric needs. She has double board certification in General Psychiatry and Child and Adolescent Psychiatry. Diane was born and raised in Southern Minnesota. She attended nursing school at Iowa Lakes Community College. After graduating from nursing school, Diane accepted a job to work at St. Mary’s Hospital (Mayo Clinic) in Rochester, Minnesota. Several years later, Diane completed her bachelor’s degree in Biology and Psychology at Minnesota State University-Mankato. 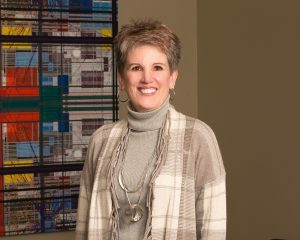 After relocating to Chicago, Illinois, Diane attended Illinois Institute of Technology and graduated with her Ph.D. in Clinical Psychology. During this time, Diane worked at Lutheran General Hospital, Rush Presbyterian St. Luke’s Hospital and the Rehabilitation Institute of Chicago. She completed her internship at Illinois State Psychiatric Institute at the University of Illinois. After moving to Billings, Diane accepted a position at Billings Clinic on the Psychiatric Unit and in the Emergency Room as a Psychiatric Assessment Clinician. In 2009, she graduated from Gonzaga University with a Master’s Degree in Nursing and became a Board Certified Psychiatric Mental Health Nurse Practitioner. She joined the Mental Health Center and practiced at the Center specializing in adult psychiatric issues. 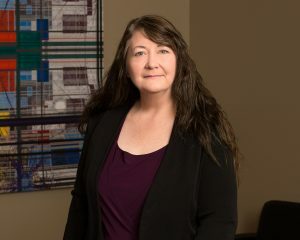 Diane joined the team at Montana Psychiatry in January 2018. She enjoys and is experienced in working with individuals with Depression, Anxiety, Schizophrenia, Bipolar Disorder, Schizoaffective Disorder, Autism, ADHD, Eating Disorders, Substance Abuse, Impulse Disorders and Personality Disorders. Brittany is a Montana native and moved back to Billings from the Seattle area in 2014. She graduated from Carroll College in Helena, Montana with a Bachelor of Arts degree in Nursing in 2006. Over the past twelve years she has gained experience working as a Registered Nurse in numerous healthcare settings. Most of her experience has been in the hospital setting with patients on medical, surgical, oncology and psychiatric units. She has enjoyed working with patients of all ages, varied backgrounds, and diversified physical and mental health issues. In 2018, she graduated from Gonzaga University with a Master’s Degree in Nursing and became a Board Certified Psychiatric Mental Health Nurse Practitioner. 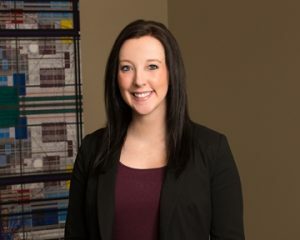 Brittany joined the team at Montana Psychiatry in September 2018. Brittany looks forward to working with individuals with Depression, Anxiety, Schizophrenia, Bipolar Disorder, Schizoaffective Disorder, Autism, ADHD, Eating Disorders, Substance Abuse, Impulse Disorders, and Personality Disorders. She believes in partnering with each patient to develop an individualized plan of care using a holistic and bio-psycho-social approach. Outside of work Brittany enjoys many of the outdoor activities that Montana offers, particularly camping and boating in the summer months. Brittany also loves to travel, spend time with her family, and supporting her children in various sports events and activities. Patricia was raised on a farm and ranch in the Billings area. She received her undergraduate training at Montana State University-Bozeman and Eastern Wyoming College in Torrington, Wyoming. She graduated with honors from the Rocky Mountain College Physician Assistant Program in 1999. Her psychiatric clinical training was completed at the Billings Clinic Psychiatric Unit during her Physician Assistant Program. She served as one of the Student Representatives to the Montana Physician Assistant Association. In 2009, Patricia began working in the field of psychiatry. 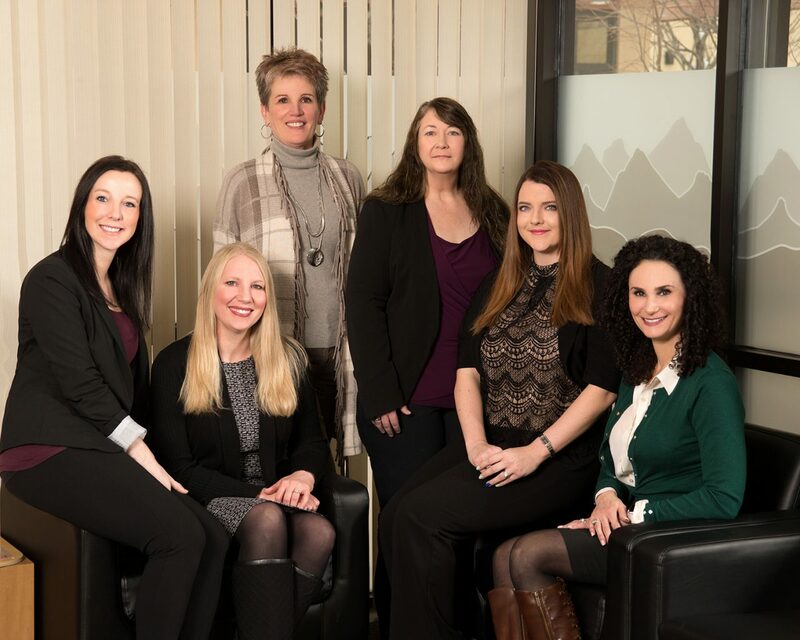 She brings many years of experience to the team at Montana Psychiatry. She has worked in Child and Adolescent Psychiatry, Adult Psychiatry, and Addiction Psychiatry and Medicine in inpatient, outpatient, residential settings. She currently specializes in providing psychiatric and medical services to youth at the residential campus of Yellowstone Boys & Girls Ranch. In November 2017, Patricia earned her Certificate of Added Qualifications (CAQ) in Psychiatry, which is a special honor for Physician Assistants who have extensive experience and clinical skills in mental health. Additionally, Patricia has well-rounded experience in other medical specialties which impacts her approach to patient care. She has experience in: Physical Medicine and Rehabilitation, Occupational Medicine, Emergency Medicine/Urgent Care, Critical Care and Family Practice. In Patricia’s spare time, she enjoys spending time with her family and her many animals, including a dog, cats, cows and horses. Kaitlin was raised in Laurel, Montana, and earned her Master’s Degree in Physician Assistant Studies from Rocky Mountain College. She is a member of the American Academy of Physician Assistants and the Montana Academy of Physician Assistants. Kaitlin joined Montana Psychiatry in October 2016. She was awarded her Certificate of Added Qualification (CAQ) in Psychiatry in November 2017. She has also earned additional certifications as a health care provider for FirstLine Therapy® through Metagenics and as a TMS operator through Brainsway. In addition to her practice through Montana Psychiatry, Kaitlin also provides medical care to the youth at Yellowstone Boys and Girls Ranch. She is very interested in new and innovative treatments for mental health including TMS, Ketamine, and integrative psychiatry. Kaitlin is also passionate about increasing access to mental health in Montana and has been involved in lobbying for mental health legislation in Montana. Kaitlin believes that mental health conditions should be analyzed differently – as whole-body issues – and we should try new and innovative approaches to treatment to better serve patients. Outside of her work at Montana Psychiatry, she enjoys racing cars, running, traveling to Maui, and spending time with her family.